Amondo have spent most of his life in the entertainment business. 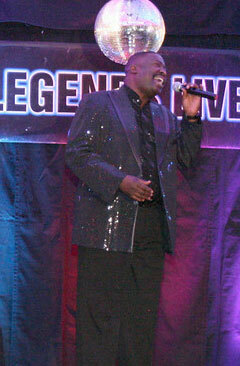 He has been singing for 25 years and has performed all over LA County, CA. Amondo has performed with groups such as; The Dynamics, Enflyte, Park Avenue and Willie Jones and the Royal Jokers. He has performed all over Metro Detroit at venues such as; The Roostertail, Rumors on the River, Focus Hope, HAP Health Care and City Council Private Parties, to name a few. Amondo has placed first at the Gratiot Idol Cruise in Eastpointe, Michigan.